Here at Miss Millennia, we’ve covered the topic of women entrepreneurs pretty extensively. In this generation, we are seeing more and more women becoming their own bosses and holding high positions in the business world. 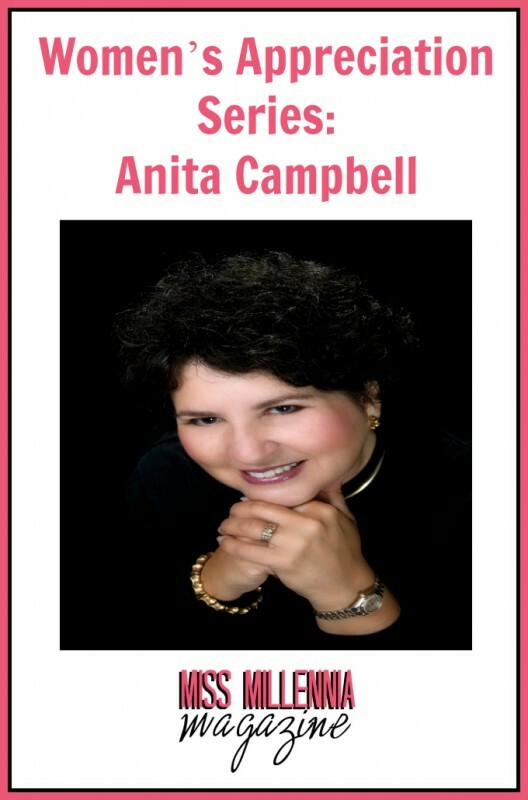 I’d like to introduce to you all Anita Campbell, entrepreneur and CEO of Small Business Trends. What inspired you to work in entrepreneurship? Ever since I was a girl, I wanted to start my own business. When I was growing up, an aunt owned several businesses. She always seemed to stand out because of her independence and because she appeared in charge of her own destiny. Of course, now that I am a business owner, I realize that she probably didn’t have quite as much autonomy and independence as she appeared to have. At the end of the day, we all answer to somebody — whether it is a customer, a banker or an employee. Still, I like the idea of being my own boss and feel that entrepreneurship brings with it a great sense of freedom and autonomy compared to being employed in many lines of work. Of still being around, and employing people, after 10 years in business. The failure statistics for small businesses are not encouraging. After five years more than half of small businesses no longer exist. So it is gratifying to be in a position to not only realize my own dream, but be able to do something for others. (1) My aunt was an early role model, because she was a business owner of several businesses: restaurant, gas station, catering, antiques store. None of them were glamorous businesses, but she somehow seemed so “in charge” that I couldn’t help but be impressed. Yet, she actually discouraged me from pure business. She was from an older generation who thought it was more prestigious to be a professional, either doctor or lawyer. Since I wasn’t very good at science, it was lawyer for me. (2) The second person who impacted my career was a mentor — a CEO — who pushed me out of the nest and forced me to be more than a lawyer. He knew that I needed to get out of the law department and into other departments, if I was going to expand my career. And he was right. So in essence, one person encouraged me to be a lawyer, and another encouraged me not to limit myself to being a lawyer. My personal mission statement is to impact the world around me in such a way as to leave something behind that will be remembered after my corporeal body has turned to dust. You hear this all the time, but that’s because it’s true: work hard and don’t give up. I’m all for enjoying life. But don’t underestimate the deep satisfaction, joy and sense of self-worth that comes from being really good at something and being recognized for that — no matter what it is. Malcolm Gladwell wrote in a book called Outliers, about the 10,000 hour rule. The premise is that becoming great at something requires you to put 10,000 hours into doing it. That’s 20 hours per week for 10 years (or 40 hours per week for 5 years). So remember that at 4 years, 6 months — and don’t give up! We haven’t encountered much of that. Most people are glad to have some editorial oversight and assistance — I know I am when I’m writing. We just try to present it as constructive advice – and point out that we wouldn’t be working with the person if we didn’t feel there was some innate talent or that the person had something valuable to say. It’s hard to write – and even harder to write powerfully and succinctly. We know that, and we never gloat about improvements. You’ve probably heard the old Mark Twain saying about how he would have written a shorter letter if he’d had more time. It’s so true. Most writers’ work improves in direct proportion to the number of times they edit (or someone helps them edit) their work. Besides managing your own business & providing people with tips, what do you like to do in your spare time? If you are familiar with the Myers Briggs psychological profiles, you know that some people are extroverts. Other people have introverted personalities. Neither is right or wrong — just different. I’m an introvert and that means that I recharge my batteries by introspection and being by myself. Without that “alone” time, I feel drained and uncreative. So I love to read – always have. I find that my reading has added to my business acumen. I also like to ride my bicycle and garden. Both give me important reflection time, and the physical activity gets my brain synapses firing on all cylinders, leading to creative breakthroughs. What advice would you give to women interested in becoming an entrepreneur? Find something you love, mainly because when you love it you will find it hard to tear yourself away from it. I’m not a big believer in the 40-hour workweek. I don’t think you need to be a workaholic, either. But as a general rule, the more time you put into anything the better your odds for success. Just watch an episode of Restaurant Impossible or Bar Rescue, and see how many absentee business owners are at the heart of failing businesses. The “I-don’t-care” syndrome is like a flesh eating virus. Pretty soon employees start to think “If she doesn’t care, why should I?” Quality and customer service slips. Sales decline. Creativity becomes nonexistent. Money is wasted. Just by spending more time and putting more attention on the business, it starts to improve. But if you want to drive a business into the ground fast, just check out mentally. It won’t take long. That’s why you need to love what you do, because you’ll be mentally engaged and excited by the possibilities. If you hate what you’re doing, you’ll avoid it, and that’s the beginning of the end. I love being able to work from anywhere, as long as I have an Internet connection and a computer. That’s liberating. I shudder when I think of how many hours of my life I spent commuting. Where do you see yourself five years from now as an entrepreneur ? I see myself having built up bench strength in my management team. If the business is going to accelerate growth, we need everyone operating to their best and highest capabilities. And we need more heads than one. When you start a business it all depends on YOU at first. That’s a good formula for getting started, but it’s not a good formula for growth and expansion. Eventually you start to become a bottleneck and get in your own way too often. To grow past that limitation, you need to rely more on others. Do the best you can. Take calculated risks and keep your expenses low until you have predictable revenue coming in. Before you know it, your business will grow and your dream will be something you live everyday. You can find Anita on Twitter at @smallbiztrends, or visit her site.